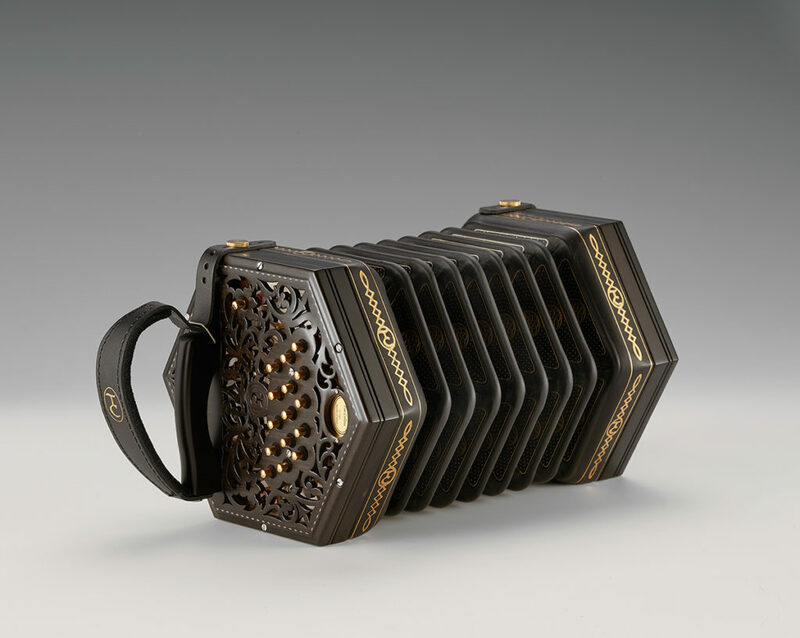 We developed this Concertina together with well-known concertina player and tutor Tim Collins, who has been playing Suttner concertinas for over 25 years. Keys: 30 keys + low D drone + air button, made with gold plated metal caps. Ends: flat or raised ebony ends, with inlays. Bellows: 7-fold leather bellows, goatskin, in black, special bellows papers and gold tooling. Tuning: C/G, also available C#/G#, Bb/F. Keyboard layout: Jeffries system, low D drone on the left.